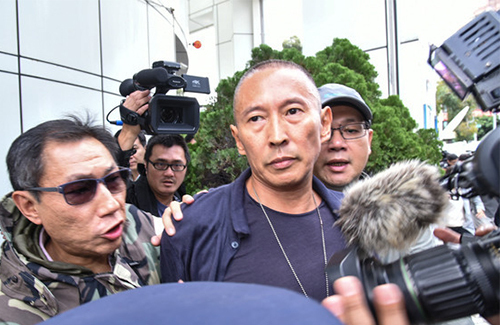 Taiwanese director Doze Niu (鈕承澤), best known for his 2010 film Monga <艋舺> was brought into the police department for questioning on the morning of December 7 in regard to a sexual assault claim that was made against him on December 5. It was reported that the sexual assault occurred on the early morning of November 24, when Niu canceled a schedule meeting with his staff for his new movie, tentatively titled Horse Racing <跑馬>. He called up the female victim, known as Xiaomei, and invited her over to his house. Both eventually became intoxicated, and as soon as they were left alone, Xiaomei claimed that Niu suddenly grabbed her and sexually assaulted her. After the incident, Niu reportedly felt remorse and apologized to the victim repeatedly, but she didn’t want to hear any more of his excuses. Overcome with shock, the victim did not initially give out Niu’s name when she reported the incident to the police. After obtaining more evidence of the attack, Niu filed an official report on December 5. In was reported that Niu told the police that he was in a relationship with the victim “that developed normally.” He admitted to having intimate interactions with the victim on the night of the incident, because he saw her as his girlfriend. On the night of December 6, a day after the news of his assault broke out, Niu posted a short statement on social media, “I am faced with overwhelming pressure. I can’t sleep, and my mental state is very poor.” He stressed that he will not run away, and face his responsibilities. He also said in the interview, “I must admit, I still have a lot of lust in me. Well he certainly Dozed off. @funnlim but will doze who niu him come to his defense?